Recently, it has sometimes been impossible for fire-fighting personnel to access the site of a fire, even as the fire causes tremendous property damage and loss of human life, due to high temperatures or the presence of explosive materials. 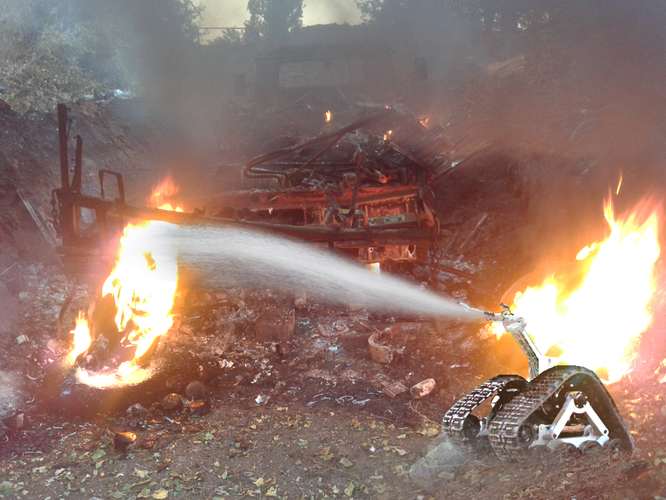 In such environments, fire-fighting robots can be useful for extinguishing a fire, and they should be controlled by remote operators. In order to help a remote operator who is located far away from the fire-fighting robot. Our the new fire-fighting system employs technology developed specifically as Fire-Robotic, which is intended to fight fires more efficiently and save the lives of firefighters. It should become standard operating procedure for each fire department, to have some sort of robotic solution. Firefighting robot is designed to help firefighters do a more effective job, more safely. The robots are controlled wirelessly from outside a building, while sending back infra-red images of the scene inside. While evidence of a fire is often no easy to see, the conditions inside a building are often unpredictable. That's where robots may prove invaluable. At a fire scene, the robot can predict when the buildings will collapse by detecting the temperature of the scene. So it can reduce harm to the firemen that may get wounded or killed by a collapse. Manufactured form a Robot is small, lightweight and capable of withstanding extreme temperatures as it transmits real-time data back to firefighters on the outside. A sophisticated video system allows the operator to have full control of the vehicle movement during operation. This robot can withstand temperatures of up to 450 degrees Celsius (839 degrees Fahrenheit). 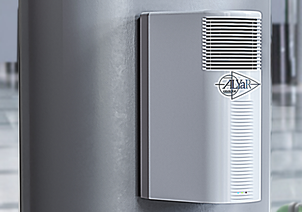 The system is operated from a safe distance by using remote-control technology. 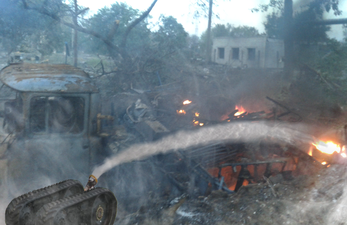 The Robots equipped with the latest technologies and be able to extinguish fires with minimal damage to itself and its operators, who remain outside the range of danger during operation. The industry-leading components give the operator the capability to use water, foam, or a combination of the both extinguishing liquids. The original design is based on the proven technology used in construction of defining systems able to survive mine detonations and other hazardous operations in the most demanding and destructive environments. The low center of gravity combined with powerful engine allows excellent maneuverability. The potential application of the multifunctional firefighting the Robot system has defined as a group that very demanded in the chemical and oil industry, nuclear plants, military storage facilities, as well as mine fields and dangerous substance transport. Today's firefighting industry is must keep up with the technological and technical development in the areas directly affecting the professionals, vehicles, equipment and additional instruments and tools used in prevention, safety and security options, as well as in fighting the fires and explosions, and after effects. We offer a complex SNAP with wide spectrum VIP of protecting for Officers & Firemen, it video surveillance system with a high quality of gathering and storing information.